Johannesburg – The majority of South Africans living in formal dwellings, own and have fully paid for their homes. This is according to the General Household Survey for 2016, released by Statistics South Africa (StatsSA) earlier this year. The survey is drawn up from a sample of private households across the nine provinces and includes residents in worker’s hostels. It measures the level of development in the country. 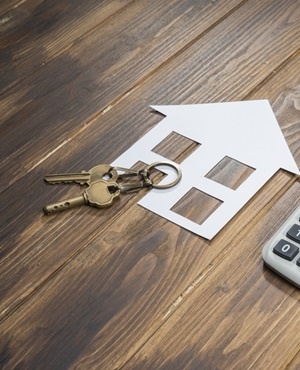 ABSA also released its Homeowner Sentiment Index (HSI) recently, revealing that two thirds of South Africa prefer buying a home over renting. Home ownership plays a role in social mobility and social protection, the Alexander Forbes Benefits Barometer for 2017 found. It has a two-fold function in acting as a social benefit and allows people to acquire an asset. At the time of the StatsSA survey, 13.5% of sampled households were living in RDP or state-subsidised households. The main findings show that between 2002 and 2016, the amount of South African households living in formal dwellings that were fully owned increased from 52.9% to 54.3%. The percentage of partially owned dwellings declined from 15.5% to 8.8%. Dwellings range from formal, traditional, flats and apartments, cluster houses, town houses, backyard homes and caravans and informal dwellings. Less than a quarter (24.58%) of South African households rent. Only 6.19% of households own their dwellings, but have not fully paid for them to financial institutions. Of the households, 14.48% occupy their dwellings rent-free. More than half (52.62%) of South African households have fully paid for their homes. The survey also showed that 79.3% of South African households live in formal dwellings, while 13.9% live in informal dwellings and 5.9% of households live in traditional dwellings. The highest concentration of informal dwellings is found in the North West with 20.8%, followed by Gauteng at 19.8%. The highest concentration of formal dwellings is found in Limpopo with 91.9%, followed by Mpumalanga with 86.5%. More than half (54.73%) of black South Africans have fully paid off the dwellings they live in. Half (50.17%) of coloured households have fully paid off their dwellings, the same is true for 45% of Indian or Asian households and 38.42% of white households. Less than a quarter (24%) of black households rent, 22.62% of coloured households rent. The same is true for 28.65% of Indian or Asian households and 29.89% if white households. But the ABSA Index also showed that South Africans were cautious about their property plans, given the economic uncertainty. The survey sampled 1 000 existing and potential home buyers in urban areas, and measured the level of positive sentiment people have regarding property transactions. It found that buying sentiment dropped from 71% in the last quarter of 2016 to 60% in the first quarter of 2017. About 68% of respondents believe it is better to buy property than to rent.